The final results are dependent on what you give the taxidermist to work with, as well as his skills. In fact, he should charge more for a big game shoulder mount when he has to try to fix a poor caping job! I admit it. I once cut a cape for an elk shoulder mount too short. Taxidermists say it happens all the time. I was offered someone elses cape on my rack, but it just wouldn’t have seemed the same, so I had the taxidermist do yet another European skull mount for me. I took the time to learn how to cape an elk shoulder mount after that! (It’s the same as how to cape a deer for a shoulder mount). I want you to know, too, so you don’t have to be disappointed like so many successful hunters are every year, when they find out the hair "slipped" or the cape wasn't long enough. Do NOT slit the throat, or split the rib cage! You never need to cut the throat of a dead animal to “bleed it out”. When the heart has stopped, no bleeding occurs. That’s just an old myth. After you finish caping out your animal, then you can split the rib cage, if you aren’t doing the gutless field dressing method. You don’t want to cut any more than necessary for the taxidermist to have to sew up. Don’t drag your animal. Dragging can easily poke holes in the hide or wear the hair off in spots. Be careful not to nick the hide. Use a sharp knife and take your time. Don’t let your cape sit in the sun. Air dry it a bit, then fold or roll it skin side to skin side (hair outside). Keep it cool, just like your meat. Don’t soak it in a stream to cool it, though. Moisture and heat will speed up bacterial growth and degradation, just as it will with your meat. Don’t freeze it for a long period of time, unless the hide has been properly tanned. Get it to your taxidermist as soon as possible. Not next spring! Step 1: Cut the hide starting just behind the ears, all the way to the tail. Try to follow the backbone, even if it curves due to the animal’s position on the ground. You can stop, if you want, behind the front shoulder, about the halfway point of the ribs. But you might as well keep going all the way to the back end, if you’re going to skin it out. Always cut with the direction of hair growth, in order to avoiding cutting hair. Cut up from underneath the skin, to avoid cutting hair, too. 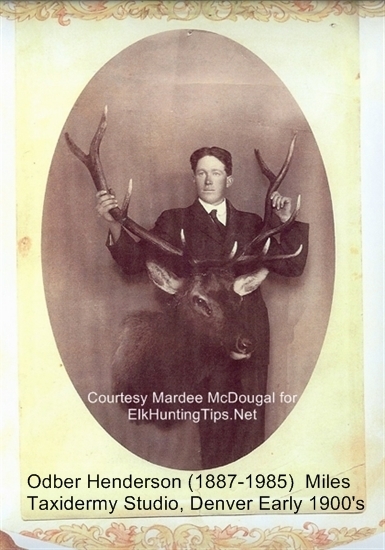 If you cut hair, it can’t be part of your elk shoulder mount. It also can fall on your meat, tainting it with an undesirable (wild) flavor. Step 4: Slit the hide along the back of the leg all the way from where it meets the chest to the knee joint. Then make a cut straight from there to the cut you made across the chest. Step 5: Skin the hide away that will make up your elk shoulder mount. Skin it up all the way to the base of the skull. Step 7: Flip the animal over and prepare your elk shoulder mount (or deer, etc.) the same way on the other side. Step 8: Skin the neck away from meat all the way to the base of the skull, to just behind the ears and under the jaw. Try to cut away as much meat and fat as possible from the inside of your cape, without cutting the hide. You could tube out the whole thing on a deer, but it's not worth the wrestling match to try on an elk. You could, however, tube skin the front legs instead of splitting the hide there. The less cuts made, the less sewing the taxidermist will have to do. 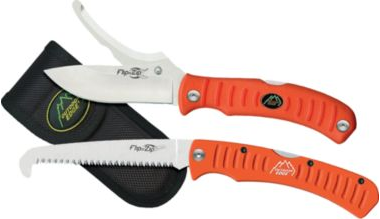 The Flip N Zip works great to split the hide. It also makes gutting an animal a breeze, if you can't do the gutless method. Leave the Rest to the Taxidermist? At this point, you can let the taxidermist do the rest. That is, if you can carry the weight and you can get it out of the field and into a cooler soon. Get it to the taxidermist as soon as possible. If you need to save some weight, you can “finish cape” it, but that take some skill and care. If someone hasn’t shown you how to do it, at least stop behind the eyes, nose and ears. Nothing is needed from the skull, so you can saw that away to save weight. A Styrofoam form will replace the skull completely with an elk shoulder mount. 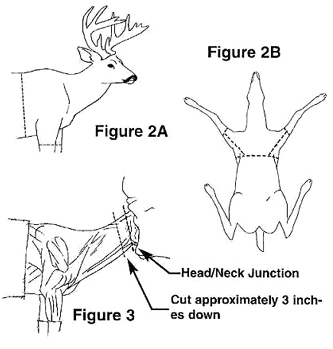 If you need to save some more weight, you can even split the skull between the antlers, but make sure your taxidermist gives you instructions in advance, according to what he wants. If it will be a few days before you haul out the cape for the elk shoulder mount (or deer), then you need to salt it down using fine table or pickling salt (not rock salt and preferably non-iodized). An elk shoulder mount takes a lot of salt, so if you didn’t have horses, you won’t have the salt! A good size elk shoulder mount cape could take 40 or 50 pounds of salt to do a thorough job, salting three times. If it is going to be several days, you will need to salt it at least twice, very thoroughly. Shake the first application of salt off after 24 hours and salt it again. You can use the same salt again, once it dries, if you can salvage it. Roll, or fold up the cape and get it in the freezer or to your taxidermist as soon as possible. One taxidermist that I interviewed for this page told a story of a guy in Montana who put his elk shoulder mount cape in a trailer in his yard and covered it with snow. It was winter time, so he thought it would be fine. It was a complete loss. Don’t put your cape in a plastic bag to haul, or store it. 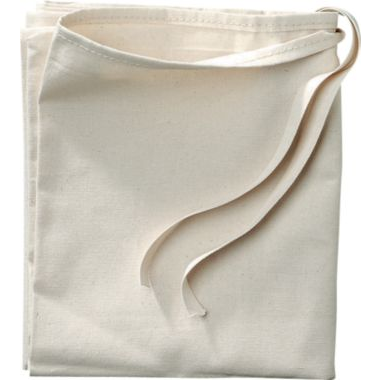 Use good quality, heavy duty game bags that will allow moisture to escape and keep the bugs off of it, just like you should do with your meat. (There is a video at the bottom of this page. Take the following measurements after caping. Write them down for the taxidermist and tell him they were taken after caping. This will be the approximate measurements of the outside of the form he selects to put inside your cape. Use a flexible, soft fabric tape measure for this. ...from the tip of the nose to the front (inside) corner of the eye. …from the tip of the nose to the back end of the skull. …the circumference (girth) of the neck. You can also ask the taxidermist to make the antlers removable from the shoulder mount. This will make it much easier to carry it upstairs and to fit through doors. You can’t tell by looking that they are removable. If you follow these instructions your cape for your elk shoulder mount, or deer, etc., will provide a natural piece of art for your wall. For the rest of your life, every time you look at it, it will take you back to that short magic, wild moment in the woods and mountains! Go to the European Mount page from the Elk Shoulder Mount page.